When you plug something into a conventional duplex receptacle (the type that receives two appliance plugs), and the device doesn’t work, troubleshooting the problem is fairly simple. Before repairs, turn off the circuit; then remove the cover plate and unscrew the receptacle’s mounting screws. 1Make sure the problem isn’t with the appliance or lamp. Some appliances, such as hairdryers, have overload protectors that automatically shut them off if they begin to overheat. Try a second working appliance or lamp in the receptacle. 2Is it connected to a switch? 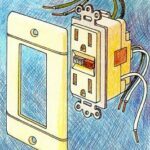 Be sure that one half of the duplex receptacle (or the entire receptacle isn’t controlled by a switch in the room. 3Check the circuit breaker (or fuse) for that receptacle’s circuit to be sure it has not tripped (or blown). If it has, reset the breaker or replace the fuse, and try plugging a working lamp or appliance into the receptacle again. Be aware that a defective receptacle, switch, or appliance hooked up to that circuit caused the failure. 4If the receptacle still doesn’t work, turn off the receptacle’s circuit breaker, unscrew the cover plate from the receptacle, and use a voltage tester to be sure none of the wires in the electrical box are still “hot.” Then check to be sure that the wires are securely fastened to the receptacle’s terminals. 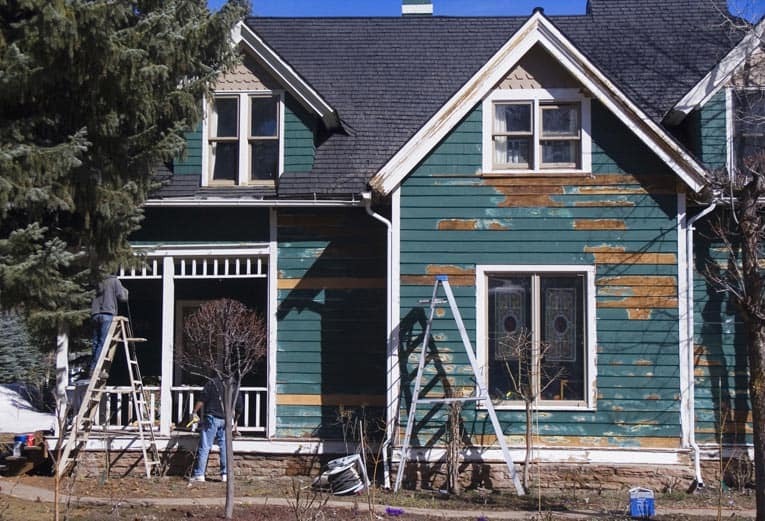 5Look for signs of charring. If you find no apparent problem and the other receptacles near the non-working one operate fine, the chances are pretty good that the non-working receptacle is defective. Because receptacles are inexpensive and easy to replace, it makes sense to replace a defective one when it ceases to work properly. 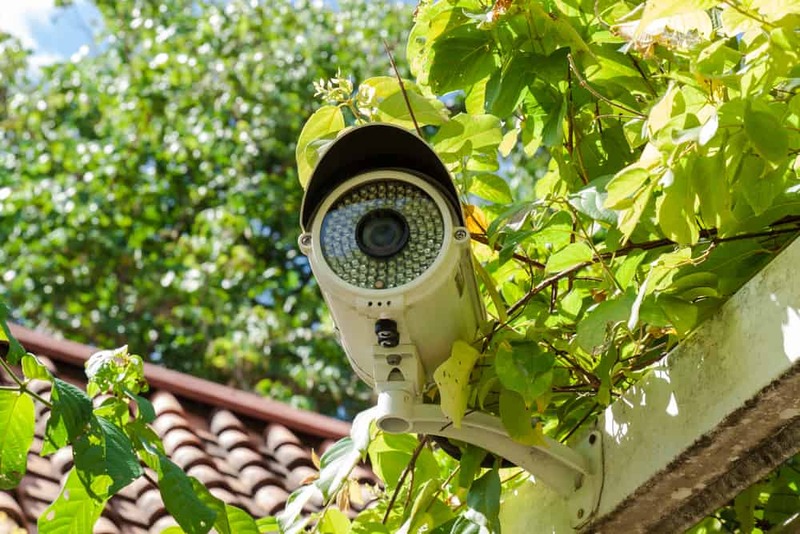 For large receptacles that run on 220 to 240 volts, such as ranges and dryers and air conditioners, call an electrician unless you’re well-versed in electrical repairs and safety issues. Always check when installing if the appliance is rated from 15 to 50 amps, 240 volts, and 20 to 50 amps, 120/240 volts. They have two hot wires (red and black) and a separate grounding wire. 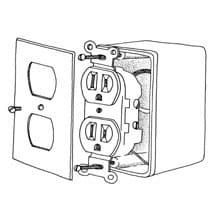 Conventional duplex receptacles have two places to plug in electrical cords or devices. Each of those two places includes one narrow slot, one wide slot, and a semicircular hole. The narrow slot is the “hot” side, connected to the black wire of the electrical system. The wide slot is the “neutral” side, connected to the white wire. And the semicircular hole is the ground, connected to a bare or green wire or the electrical system’s ground. 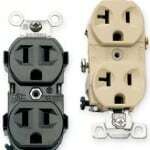 Many electrical plugs have one wide blade and one narrow blade (and, in some cases, a ground plug) that match the receptacle’s slots to ensure that the circuit is properly connected to the electrical device. Wires may be attached to screws on each side of the receptacle or plugged into terminal holes in the back of the receptacle. Whether wires attached to screw terminals or are pushed into rear-mount terminals, the screw terminals on the sides of the receptacle are hot (charged), so don’t touch them!